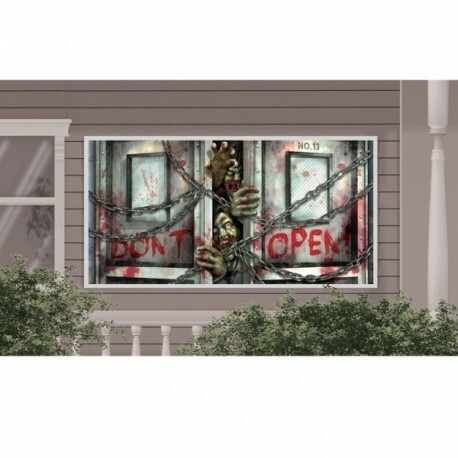 Our Zombie Banner makes uninvited visitors think twice! 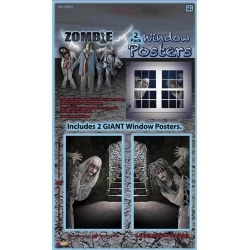 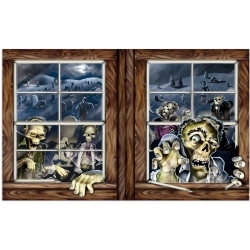 With a vibrant and highly detailed print of zombies clawing between chained doors, this durable and reusable plastic banner makes a great decoration for halloween parties or adding to a scary haunted house. 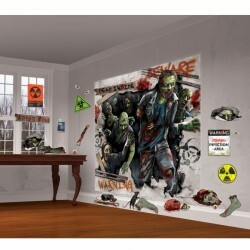 Display it indoors or outdoors using tape or blu-tac.